There is a compromise for an ultramobile and at the same time high-quality solution. Making cuts in quality, however, I would consider an entrepreneurial mistake, because „real estate photographs are advertising images“ and do not tolerate any weaknesses. Real estate agents with enough-for-my-purpose-mentality will stay behind in the competition sooner or later, because a photo is usually the first thing an interested person gets to see – and this is where a real estate expert must shine. To keep it simple, I divide digital cameras just into two classes. The most important features, advantages and disadvantages of each class can be found in the following sections. Using a smartphone, you have a multifunctional tool in your hand or in your pocket. 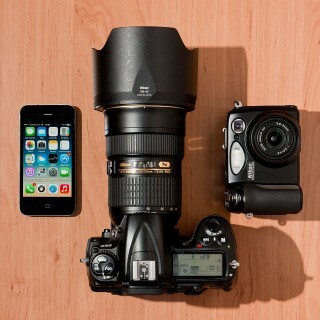 Extremely mobile, you can communicate on a lot of channels, play, learn and even take photographs. The photo quality of these devices is improved with every generation. The images become sharper, get higher resolution, and automatic post-processing improves image quality. Nevertheless, I consider such mobile devices as nice-weather-cameras, which are suitable to shoot private scenarios and to take reasonably good images in sufficient light. Also for fast documentation, if content matters instead of quality, they perform well. But as soon as it becomes challenging, sensor performance and computer-aided processing can not satisfy high quality requirements. In addition, with a focal length of 24 to 30 mm (compared to full format) they do not have enough wide angle for any real estate image, in order to represent an average-sized space even approximately frame-filling. Compact cameras, considered as classic holiday snapshot cameras, are now decreasingly to be found. In the meantime, they have widely been replaced by smartphones and therefore they are also not really suitable for the successful real estate sales business. In particular, their cheap lenses make any real estate photographer’s life hard. They often cause image errors that drastically increase towards the edge of the image. Blurs, color fringing and dark corners are the result. Smartphones and compact cameras are not suitable for real estate photography. These cameras are the classic tool for the ambitious photographer through to the professional one. They are available as a digital SLR camera or as a mirrorless system camera. Depending on the genre, preferred by the photographer, the lens can be changed. But why does it have to be an interchangeable lens? For the images in most private scenarios, the supplied or built-in focal lengths are completely sufficient. In real estate photographs, however, you almost always have to switch to a lens with an extra wide-angle. This is due to often tight spaces at the shooting location. At the moment I don’t know any high-quality and at the same time affordable camera with a built-in extreme wide-angle lens. Furthermore, this camera category has a quality feature that takes photos directly to a new quality level: the large camera sensor. Because of its size, it can capture, convert, and redirect the incoming light more flawlessly. And third, cameras of this class always have the possibility to save their images in a lossless file format: RAW. Thus, even under critical light conditions, there is considerably more latitude for subsequent corrections of the image. In this camera class there are several product lines or categories for beginners, ambitious photographers and professionals. Professional devices always play in their own league and produce consistently excellent results. However, their prices often end up in a mid four-figure range. In the following recommendations, I concentrate on the lower medium class for ambitious photographers and sometimes even not on the latest models. This way, a good price-performance ratio can be achieved very elegantly. Medium-class cameras with interchangeable lenses offer the best compromise between mobility, quality and price for real estate photographs. Whether you opt for a smaller system camera or a digital SLR depends on your quality requirements. You can get top results with the latter models. Read more about this further down when choosing the right brand. Optics, sensors and data quality always play in the same team. If only one factor is insufficient, the whole project is at stake. Sharp images, viable colors and variable image angles are primarily dependent on the optics used to provide the camera sensor with light. For real estate shots, you almost always need a small focal length to display large angles. This is due to the often cramped conditions at the shooting location. In a room you cannot step back to show it in all its glory because of a wall behind you, and the fence on the opposite side of the street is often the limit when taking pictures outside. Therefore, it is important that you use an extreme wide-angle lens, which shows a larger image angle, compared with the standard lens. But do not exaggerate. If the wide angle is too wide, the image is strongly distorted – a 120-square-feet chamber easily pretends to be a 750-square-feet parlour or details of a house facade shot at a tilted angle suddenly becomes tiny at deep corners. The viewer notices the fake at the least when visiting the property. Nevertheless, you can save a few Bucks or Quid by simply checking which second manufacturers are building good lenses. The times when Sigma, Tamron, Tokina & Co. have built average lenses for hobby photographers for cheap money are over. Many new releases (from around 2014) of these brands can keep pace with high-quality original lenses of camera manufacturers. Even if real estate professionals do not like it: powerful lenses have a higher weight. They consist of significantly fewer plastic and work more precisely with their metallic inner and outer parts. In addition, the built-in glass is of special quality and (partially) provided with high-performance coatings. This helps to minimize the optical losses when refracting light. You need a good lens with the widest possible wide angle. Smartphones and compact cameras with their fixed mini-optics are therefore excluded. Do not buy the apparently inexpensive bundles (kits) from the electronics wholesale market when it comes to cameras with interchangeable lenses. Purchase the camera body separately at the dealer of your trust and use the saved Dollars for a decent lens. Even if it sounds painful, the old basic rule is: The price for a good lens starts at the price of the camera body. The size of the camera sensor is currently of great influence for image quality. With small sensors often many pixels are squeezed in a small area. These tiny elements are driven by electrical current, which can however affect adjacent cells. The closer they are to each other, the more they can influence each other. In the case of complicated lighting conditions, as for real estate photographs, stronger currents occur, so the danger of mutual interference is higher. This results in inaccurate light values for each cell, which in turn affects picture quality. Although there are computer algorithms in the camera that minimize errors before the photo is saved, this always means a loss of detail information. But it does not necessarily have to be the full format sensor of professional battleships. There is a successful intermediate stage in modern SLR and mirrorless system cameras: the so-called APS-C, DX or Four Thirds formats. With these models the construction of the camera and mostly also of the lenses is more compact, while the picture quality is still very acceptable. The larger the sensor, the better. Smartphone & Co. clearly have disadvantages due to their miniaturization when it comes to the best possible utilization of low or sometimes also strongly contrasting light in real estate photos. … are determined by the photographer before and during a shoot. These include aperture, exposure time, sensitivity. Decisions can be entirely or partly handed over to the camera. However, I recommend keeping them under control. … affect the electrical signal and its processing to the image in the camera. Here, in particular, image noise (disturbances in single coloured and dark image areas) and image dynamics (recognizable details in the brightest and darkest areas) are of importance for real estate photography. Modern cameras are becoming more and more powerful, but they are far from reaching human perception of light. Particularly under critical lighting conditions for real estate, investing in higher-quality technology is the way to go. … in-camera is often done automatically. Images are self-sharpened, contrasts are changed unasked and colors are influenced at the camera’s discretion. This is a convenient function for everyday shooting for holidays, children and pets. These photos can be corrected later but only within limits. My recommendation is, however, to let the camera have as little influence as possible. Good cameras offer the so-called RAW mode. The raw data from the camera are saved almost unfiltered onto the memory card. The latidude for the subsequent optimization is unequally larger and allows challenging shooting conditions to be mastered much better. Only cameras capable of RAW-mode can successfully tackle difficult lighting situations. The much greater latitude within the image file allows to recover lost details in lightest and darkest areas in post-production. The fewest compacts are suitable for this purpose. Only drops of bitterness: the files are larger and photos must definitely be corrected on the computer. However, with my 6-step workflow (Workshop currently only available in German), I have developed an efficient solution for common RE-photo situations. The Right Brand – Nikon, Canon, Pentax. Panasonic, Olympus, Sony or Fujifilm? Now it is getting difficult for the author, because he’ll inevitably step on the toes of fanboys of a certain brand or of their haters. My opinion is, of course, subjective, but also based on years of comparisons between the results from different cameras, which I have learned in the context of my picture processing service for realtors. Thus my judgement is based on a solid base of hands-on experience. In the following statements I am referring exclusively to photos from cameras with interchangeable lenses. All cameras are continuously improved. The manufacturers‘ model development leads to better image results with regard to sharpness, detail richness and low noise. Every manufacturer has one or more strengths in certain demanding areas (action, low-light, skin, video, picture harmony, energy consumption, etc. ), but none is leading in all fields of action. From the middle class onwards, the functionalities and results for real estate photography are acceptable. Mirrorless system cameras from Sony, Fuji, Panasonic Lumix, Pentax and Olympus are playing in the same league, perhaps with slight advantages for Sony. Digital SLRs of Nikon and Canon are ahead with some distance – not only because of the much larger pool of available lenses of all focal lengths and quality classes. I consider Nikon cameras in the field of real estate photography for the better choice. The built-in sensor (fun fact: often a Sony product) and the internal signal processing provide more balanced images with significantly more dynamics and less noise than the counterparts from Canon. For my image processing service, many of my customers supply their own Canon raw material. I repeatedly come to the conclusion that noise quality and details for indoor shots are clearly behind in comparison to a current or even historical Nikon device. Many of these disadvantages can be corrected with additional computer work in post-processing. Therefore, Nikon devices are used more often by architecture and landscape photographers. Canon, on the other hand, is superior in the areas of action and portrait photography. The old rule, that a lens should better be of the same manufacturer as is the camera, is not wrong. Nevertheless, second manufacturers are at least on the same level. The wide-angle lenses from Tokina are known for their sharpness, Sigma builds the wide-angle zoom used by most real estate photographers and Tamron successfully digs ground in the full-format sector from Nikon’s professional standard lens. The comparison is worthwhile here, because the right decision can save money without sacrificing quality. A personal preference relates to the presence of a tilting camera screen. Especially in uncomfortable positions, when image control through the viewfinder or the rear display is associated with physical contortions, such a tilt screen is a blessing. If you want to achieve the optimum for your property pictures as a real estate expert, you decide for a digital SLR camera from Nikon. But anyone who frequently also shoots events or people with his equipment, is right at the Canon counter. The lens selection depends on the wallet. You may select from the following options. The following models will frequently be updated. The listing is based on own experiences and test observations on current photography channels. Click on the photo to get directly to Amazon.de. You have only photographed with compact cameras or smartphones so far and were dissatisfied with the results? Buy a Nikon mid-range camera with a good wide-angle lens from Nikon or Sigma. Do you already take photos with a camera with an interchangeable lens and want to improve? Stay true to your brand and invest in high-performance optics. This allows you to reuse existing equipment for other projects. You have experience in photography with interchangeable lenses, but want to make a quality jump? 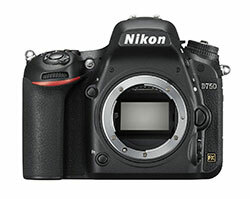 Buy a Nikon upper class camera with a full-size sensor and invest in quality glass from Nikon or Tamron. If you have now invested in proper equipment, you should also know how to use it effectively. Therefore feel invited to visit my workshops, for which you can sign in without obligation – you will be informed about the next event dates prior to official announcement and will be able to book in time.